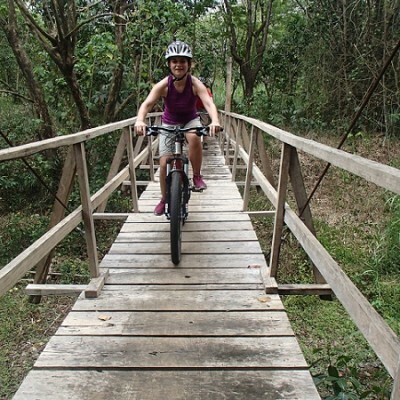 A day of mountain bike adventure on the connected tracks of La Mesa Watershed,a protected area preserving the only major watershed in Metro Manila and containing the last remaining rain forest of its size in Metro Manila. 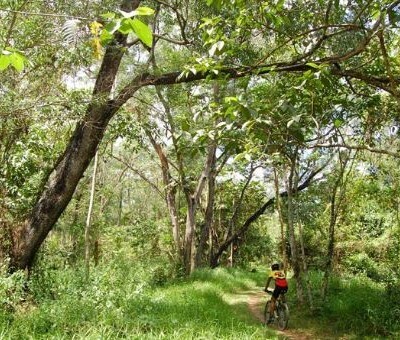 Mountain bike distance is 40 km for intermediate to advanced riders or 25 km for beginners. The whole forest is secure and properly guarded. No outsiders are allowed to enter the forest. Only those who registered are permitted to roam around accompanied by a trail master and a sweeper. The trail masters bring radio with them to easily communicate with the admin from the entrance. 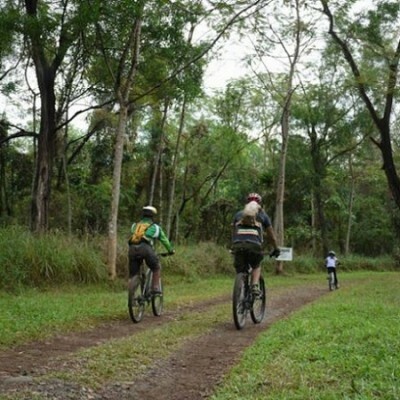 Environmental Contribution : Php 200 pesos of your tour fee will go to the maintenance of the watershed. This small amount is a bog contribution to our environment. 6:30 AM – Hotel pickup . 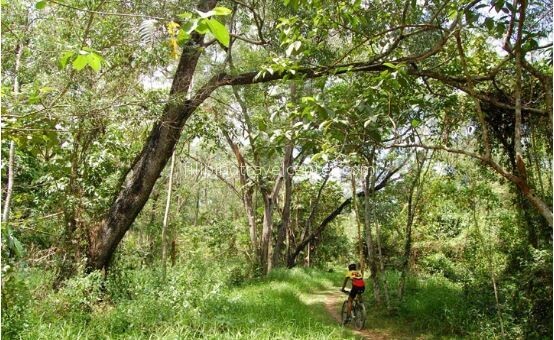 Depart for La Mesa Watershed in Quezon City. 7:30 AM – Estimated arrival in La Mesa Watershed. We will have a short briefing and meet our trail master. 8:00 AM – Ride out. 12:00 PM – Lunch at the Violago inside La Mesa Watershed. 16:30 PM – Estimated drop off at your hotel. Pick up time 06:30 am. Estimated drop off time 16:30 pm, depending on traffic. Medicine – if you are on medication. Although we bring medicines, they are for some common illnesses only like headache, toothache, body pain, fever, cough, LBM and the likes. You may want to bring your own medicines that are specifically prescribed by your doctor. 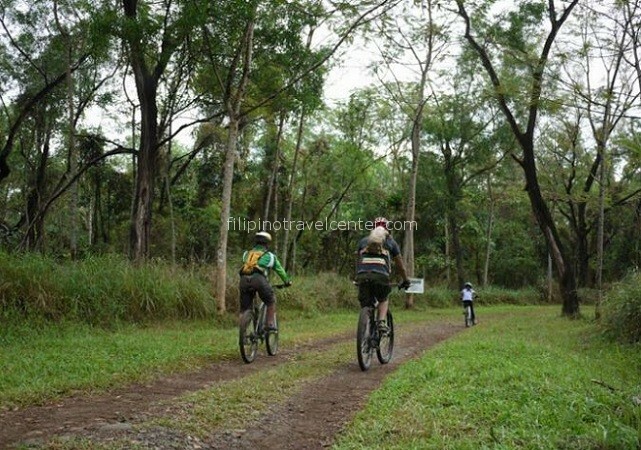 Helmet – we can provide you with a helmet on your bike tour however, it is recommended to bring your own as helmets are personal necessities in biking. 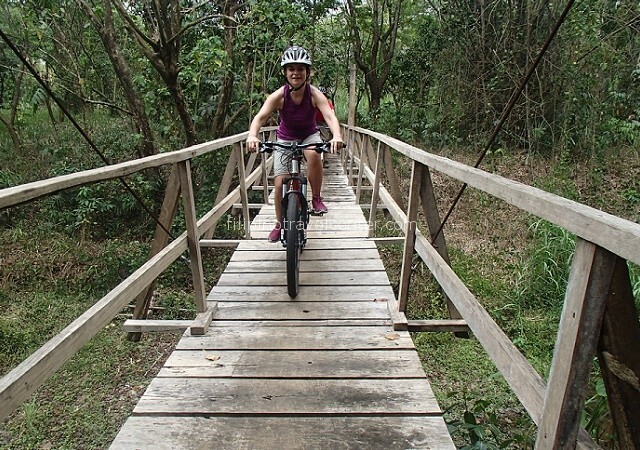 SPD Shoes – initially, our bikes’ pedals are platform pedals. You can however, change your pedals with a Shimano or SPD based pedals. If you do, please don’t forget to bring SPD shoes. Rain Jacket – sometimes the weather is unpredictable here in the Philippines. Rain jackets are highly recommended. – Car pickup and drop off from/to your house / hotel in Makati, Taguig, Ermita, Malate and Pasay. 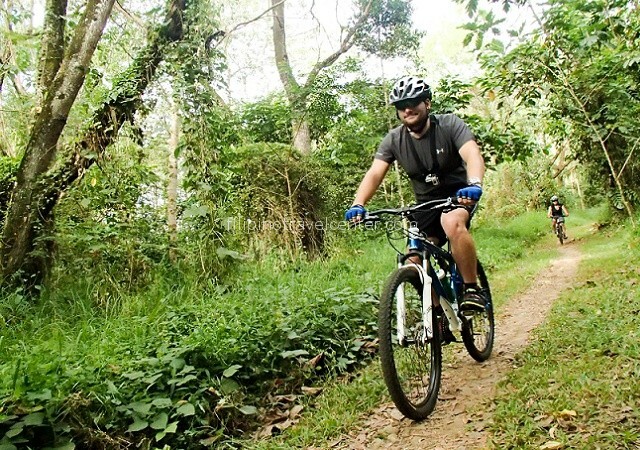 – Mountain bike inclusive of helmet.